Since, 2013', I wrote until the manuscript of "Cultivating the DNA of Crime" was published in 2014'. So, I’ve been writing professionally as an author roughly 3 years. 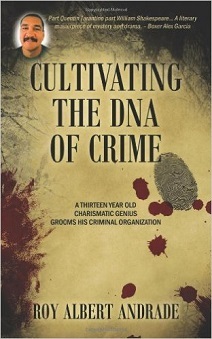 "Cultivating the DNA of Crime" was the first book title, and was published on May 13, 2014. I started K1LLER, Inc. in 2013', it’s a small publishing house, but, that’s the publisher’s name. The imprint is K1LLER. Killer is a boy who lives with his parents in a two-story house in Sylmar, California. And when he's not playing video games or watching TV, this thirteen-year-old child prodigy can be found working with a high-profile criminal organization. Killer is an asset desired by criminal enterprises worldwide-he's young, intelligent, charismatic, and most importantly, he's a killer. In this humorous and contemporary novel, Killer provides the reader a first-person point of view of the environmental factors that influence criminal behavior. Absolutely! The book is available worldwide through Ingram Content Group, and Baker and Taylor distribution. The books are also available online through www.amazon.com and www.BN.com. "Cultivating the DNA of Crime"
I’m working on "Virula: Renaissance Outlaw" Part 2. The book will be published and available worldwide this year. 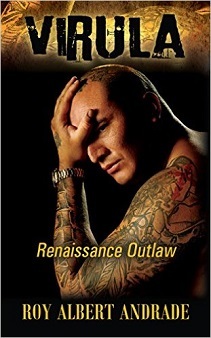 "Virula: Renaissance Outlaw": Virula knows how hard life can be—but he thinks he also knows how to make the most of it. As a high school dropout, he joins a gang who exploits his cool-headed courage, and keeps him captive by catering to his appetites for drugs and women. Virula takes place during one memorable Father’s Day in Los Angeles, when a dose of hallucinogens creates a surreal 24 hours…but Virula’s actual life is already so strange that it’s almost just another day. Realistic and enlightening, yet also surprisingly funny with a keen sense of the ridiculous, Virula is an offbeat love story, an eye-opening look at gang life, a hard-hitting examination of a young man who has taken the wrong path, and above all, an entertaining and compelling story. This first book in the Virula series will leave you looking forward to the sequel! Visit www.K1LLER.com for updates and book signings in Los Angeles, CA. https://www.facebook.com/RoyAlbertAndrade187 we have a blue badge, it’s an authentic page. 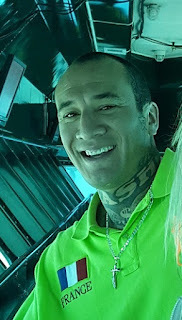 And you can follow me on twitter at https://twitter.com/RoyAAndrade. I would like to take the time to thank the publisher, K.M. Francoeur, and her blog for this incredible interview and experience. It was fun! BLOG WRITER'S NOTE TO AUTHOR: Your books sound quite fascinating. You seem to write about subjects that I'm sure will keep the reader turning the page to see what happens next. I hope that you find much success with your writing, and Good Luck in the future. Thanks again for the interview.